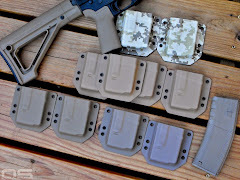 If you'll recall I said I didn't have a hatchet in some of my previous posts in this series, and what do you know, some things have changed since then. Again, I scored this Gransfors in a trade, this time the Wildlife Hatchet. Here we really are talking big knives and small axes because compared to the Wildlife Hatchet, my big knives are pretty big and compared to most axes it is somewhat demure. It fills in a small void in my splitting continuum where weight evenly divided our contenders before, the axe now moves into the bantam weight class just above (3oz) the Kershaw Camp 10, at 1lb 5oz. The inherent splitting power of the axe isn't so much the standout advantage over the knives in this little guy's case, instead I think it is the compact size of the Wildlife axe that potential owners would be interested in. 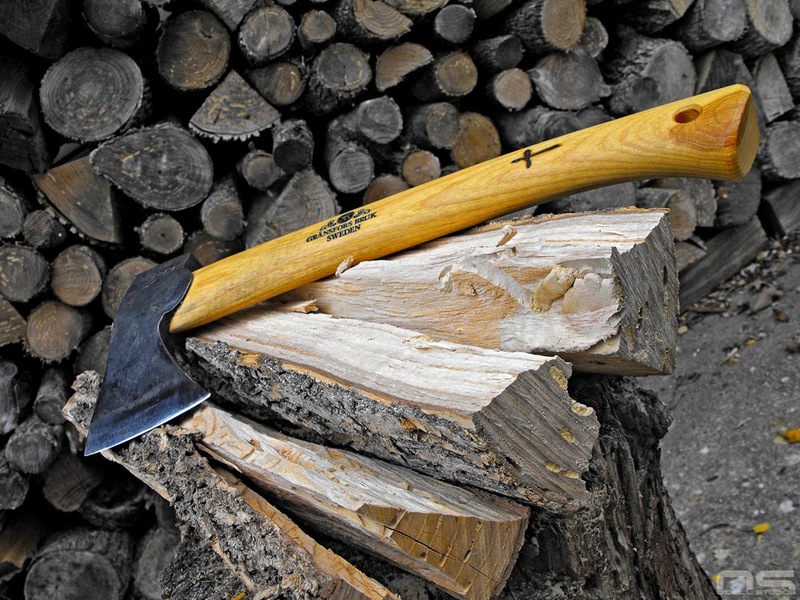 The intelligent design feature is the length of the cutting edge when its overall size is considered and when compared to the Small Forest Axe. 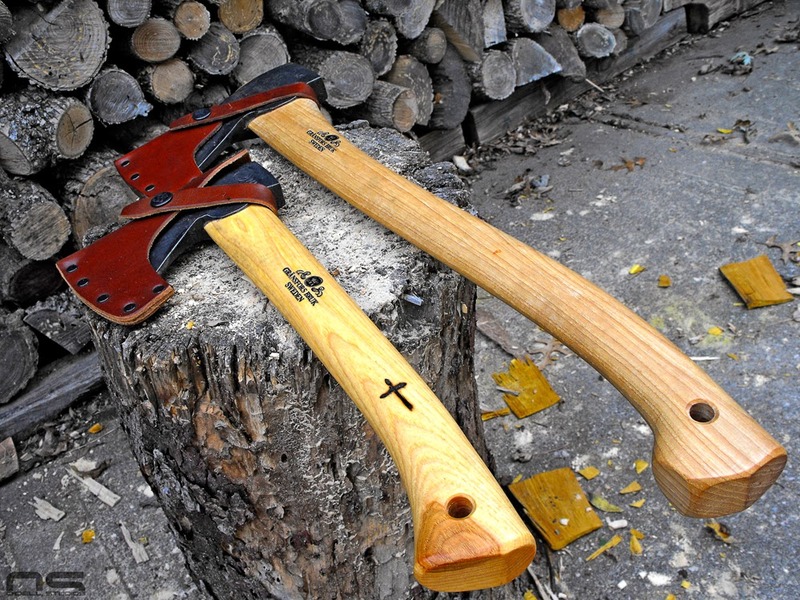 They are actually pretty similar and on a small axe, the user gets some options from the generous bit. 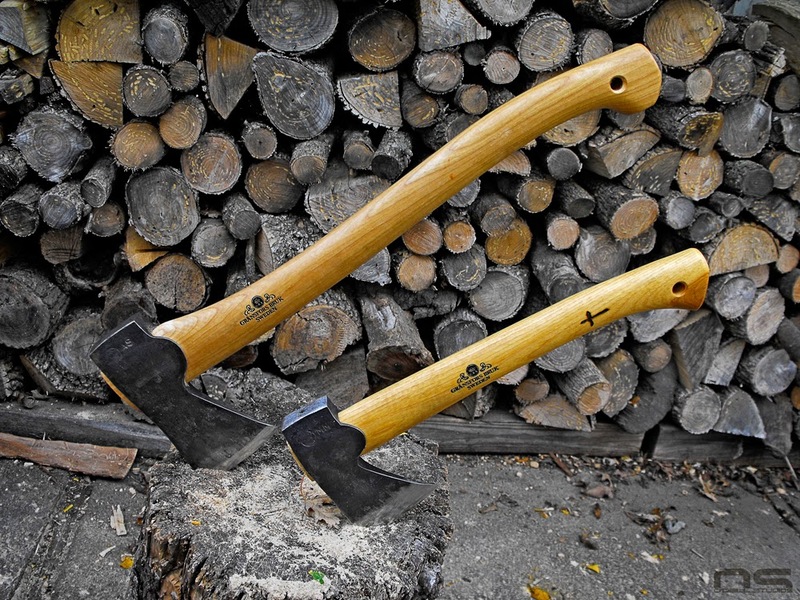 The Wildlife Hatchet doesn't really make a leap forward in hardwood splitting beyond the Camp 10 or the E-nep, but it is similar and in a compact form factor without a weight penalty. 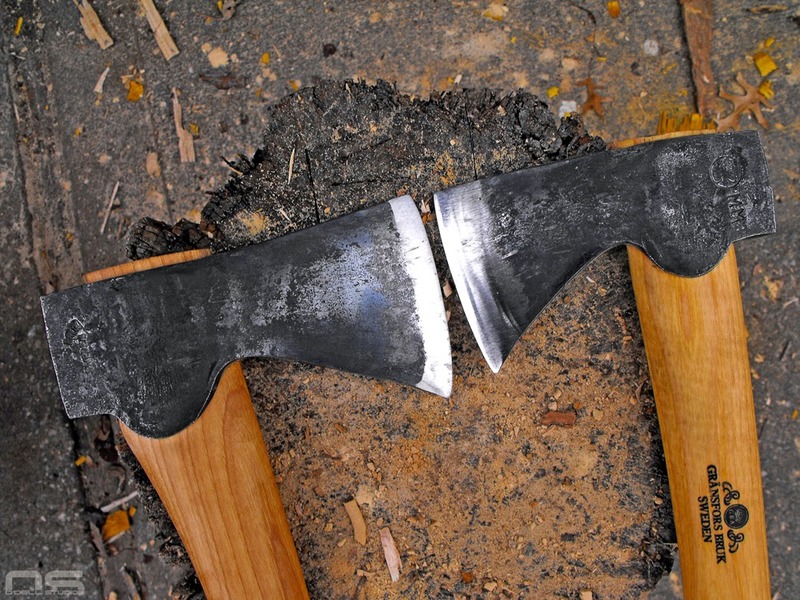 Ultimately, Wildlife Hatchet users are going to be sold on the convenience of the size and for wood splitting, it's probably not going to be outdone by the big knives. 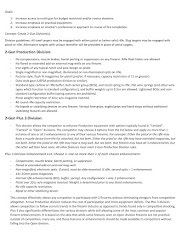 However, I find the one handed nature of small hatchets to be cumbersome - though a more skilled user may very well disagree - and the lack of weight to be counterproductive. It's difficult to ignore the versatility of the E-nep and the more pronounced increase in performance from the longer handle and heavier head of the Small Forest Axe - neither of which carry a significant weight penalty in my opinion. 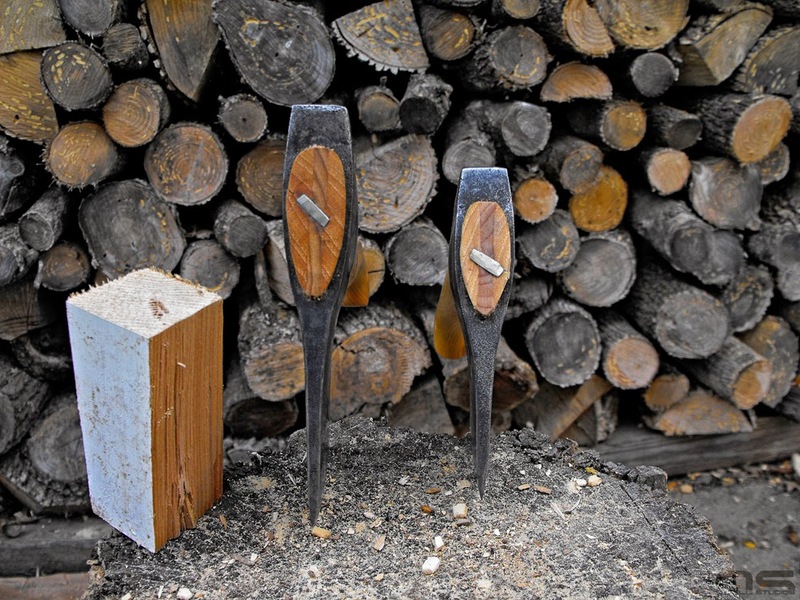 Of course, as with all these tools, talking about splitting alone ignores many, if not most, other uses. 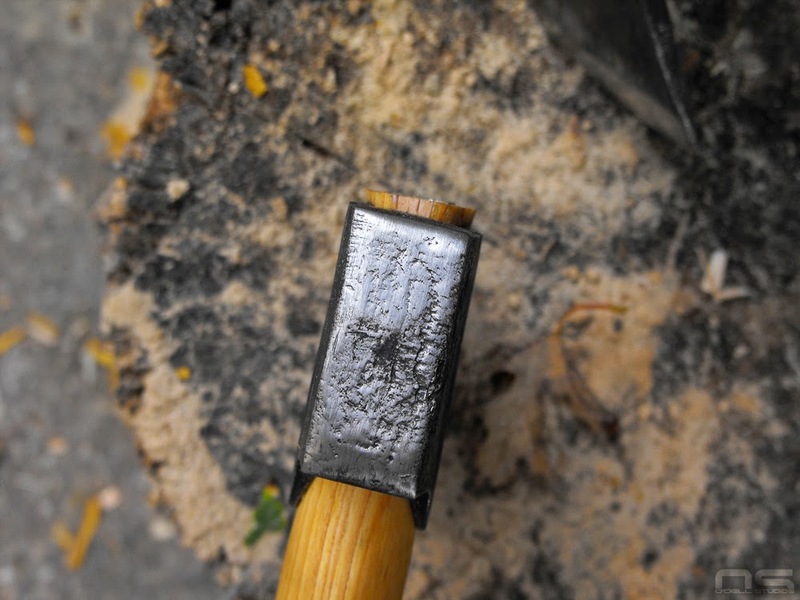 The Wildlife Hatchet is light enough to hew and carve with all day long and in fact, I found my accuracy to be very good with it when not swinging for the fences. 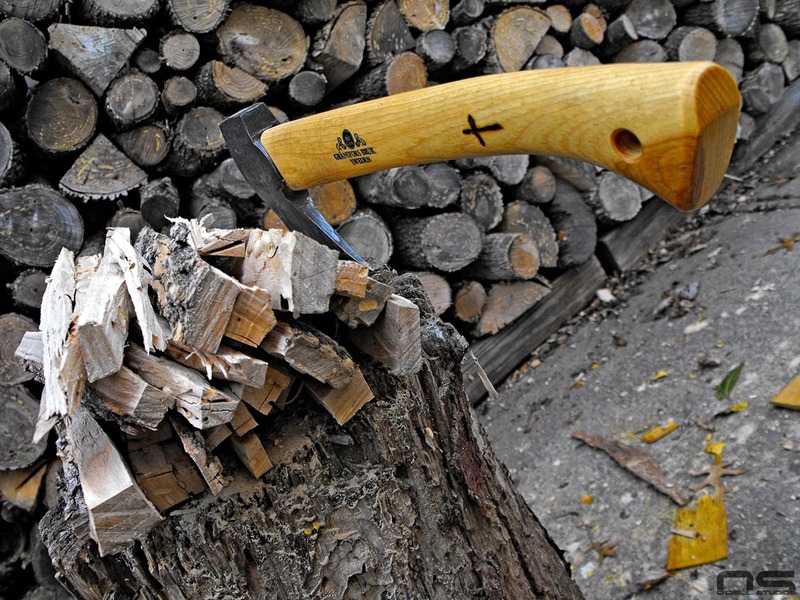 It helped on one occasion to carve out a wedge to hang another axe and it was the ideal tool for the job. It is also terrific to have in the house for kindling purposes at the wood stove. Notice the Wildlife Hatchet has nearly as much cutting edge as its bigger sibling. Gransfors bit geometry is very similar between the SFA and the Wildlife. Someone over at Gransfors got a little sloppy squaring this one up. I also wonder about the smoothing performed on the poll. I started with some chunks, fairly large. And the Wildlife Hatchet did a nice job reducing them to this pile.